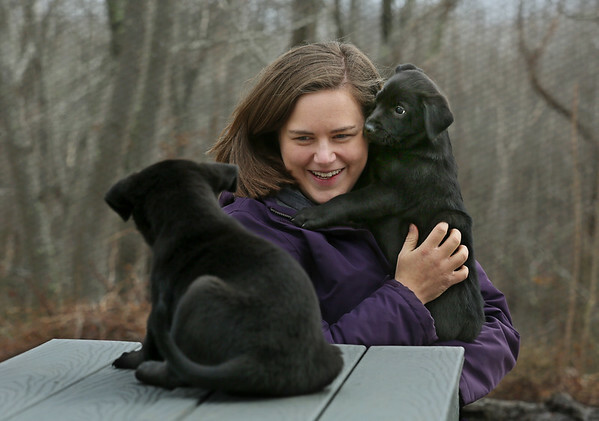 Rebecca Baylies, director of development and communications for Cape Ann Animal Aid, plays on Monday with Rubix and Trivia, a pair of labrador-mix puppies, on the agility playground at the Christopher Cutler Rich Animal Shelter in Gloucester. Rubix and Trivia are two of seven puppies that were brought to the shelter recently from Alabama with their mother, Edith. They will be available for adoption in March.